If there is one place in the world I wanted to stay in a moment forever it was the precious hour I spent on this mountain. The mountain of 1000 peaks. Unbelievable views. Perfectly snow-capped peaks. Crystal clear lakes. Surreal stillness. No wind. No rain. It was almost warm. And it was beautiful. 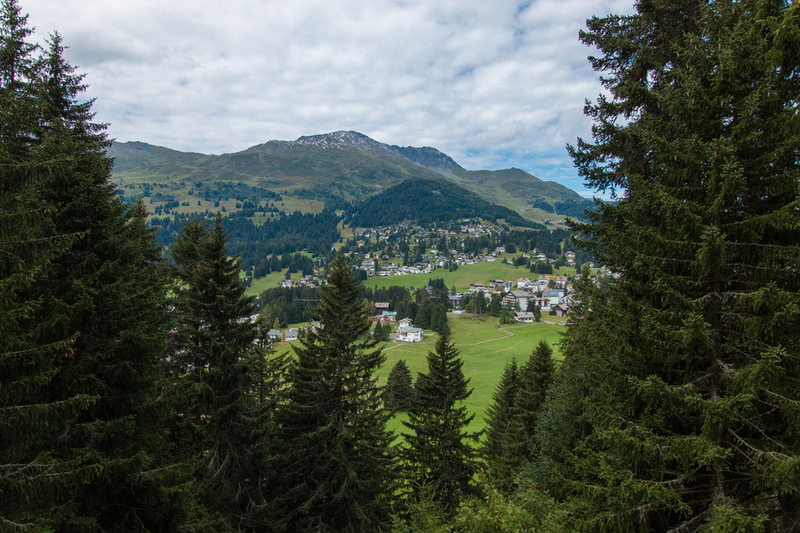 Lenzerheide sits at the feet of the mighty Rothorn, a mountain in the Plessur Alps in eastern Switzerland. Our first stop at the base was Pesko, the sports store that rents out bicycles and Lenzi Bikes amongst other things. Lenzi Bikes are monster scooters made for the outdoors and we took 2 out for a spin. 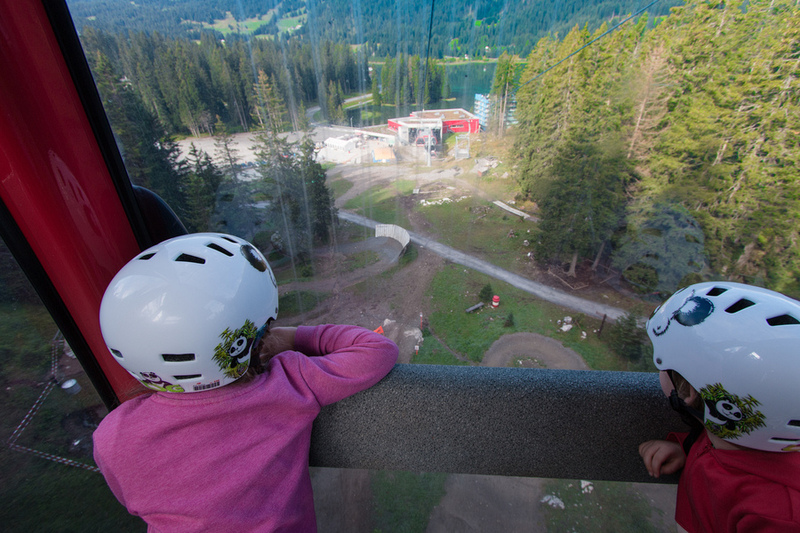 Once we had our helmets and bikes we were directed to an elevator within the store, which took us up to the very entrance of the cable car. 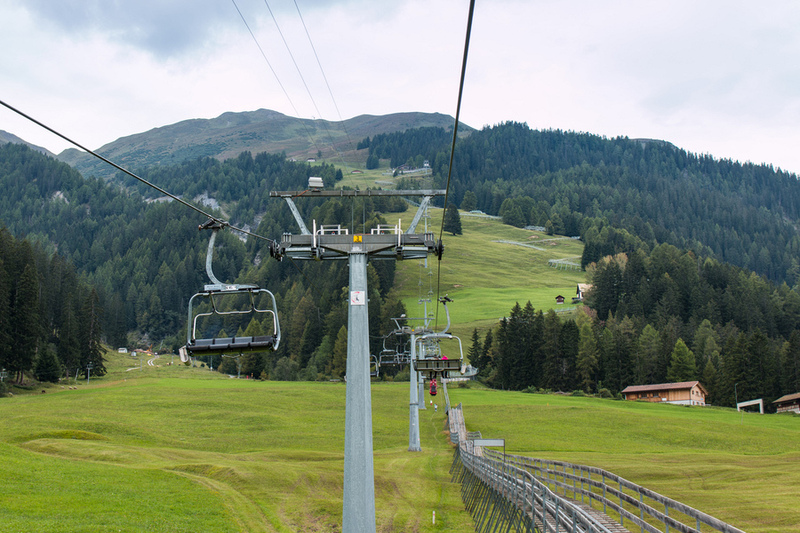 Cable cars in Switzerland are as common as almost any other method of public transport. We maneuverered our monster scooters into the cabin, made sure everyone was in and shut the doors. What started off slow as we entered soon picked up speed and were climbing the mountain at a break-neck pace. 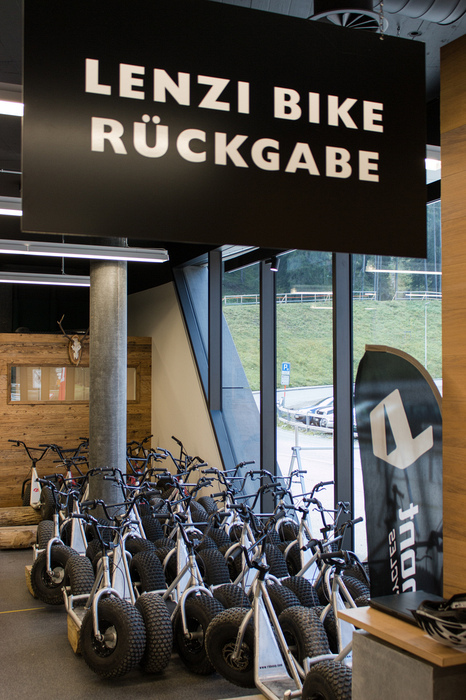 I saw other cable cars loaded with mountain bikes hanging from the racks on the cable car exterior, since the mountain is also home to a number of very popular world-class mountain biking tracks. At the mid-station we disembarked and left our monster scooters just to the side of the cable cars. It’s best to ask for a lock when hiring your bikes to make sure they don’t go missing from this spot, however we did forget to pickup the lock and our bikes were still there when we returned. Phew! 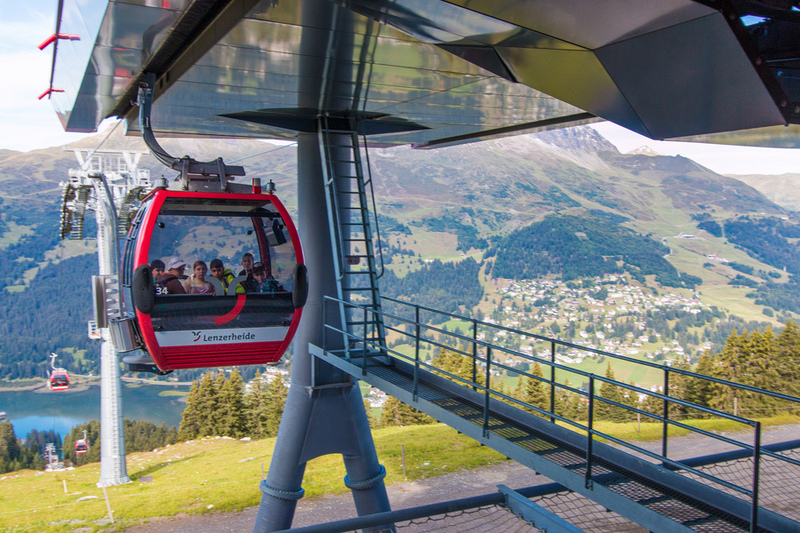 A second cable car, which departed at set times, took us along with a group of other visitors up the remaining part of the mountain, reaching 2865 metres above sea level. Could any other exclamation do this justice? Several days prior to our arrival had been particularly cold with light snowfall on the mountains, and so a few days later when we were there it created the most pristine conditions. The temperature was an estimated 10°C (50°F) outside, but I didn’t find it that cold. There was no wind. The sun was shining. But there was still snow to play with, just like our time at Crater Lake, Oregon in the US. The absolute best of winter mingled with the summer sun. Perfect. Josh couldn’t take enough photos and I was happy to sit on a rock or bench and just stare. And then stare some more. Just in case, I wasn’t clear before… wow. The kids found great joy in throwing rocks down scarily steep drops and I did have the occasional nagging mum moments remarking they were getting to close to the edge. On top of the world, Mum! When they weren’t causing mini avalanches they were making snowmen or throwing snow at their daddy. Tears started flowing when our inadequately chosen clothes and shoes started soaking up the snow, leaving freezing toes and wet socks. We weren’t dressed for snow fun. But we still had fun anyway! We made a hasty retreat to the bathrooms in the summit building to try and make use of the hand dryer to dry the wet clothes without much luck. Deciding to skip the €15 croissant (yikes!) the kids begged to head back down the mountain. I took one last look of the panoramic vista, committing to memory the feeling of natural bliss, and then we took the scheduled gondola down to the mid-station. From mid-station there were many options to make our way down. 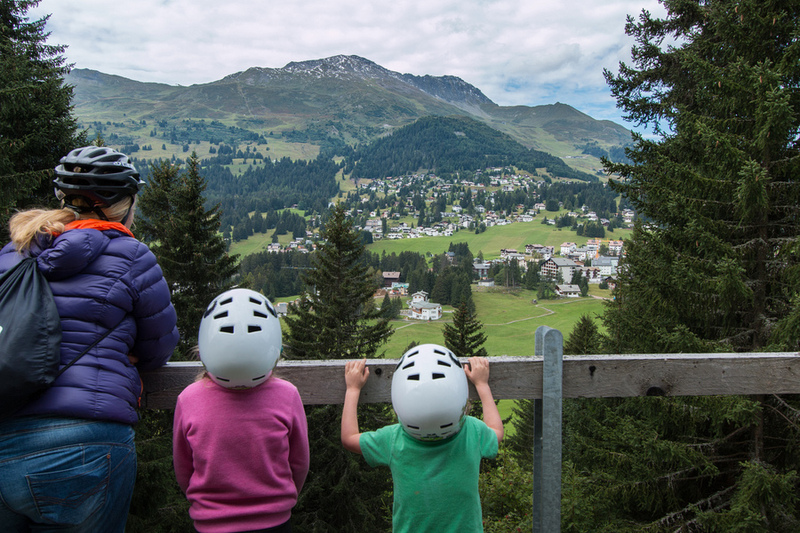 The cable cars, well-maintained hiking trails, a dirt bike road for the adventure seekers or a tamer Lenzi Bike path. 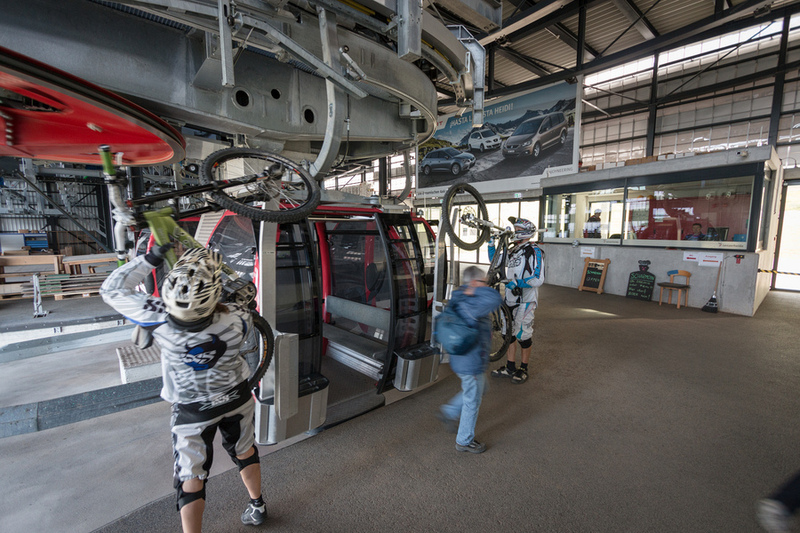 We collected our bikes from inside the cable car building and made our way outside. Lenzi Bikes are monster scooters. 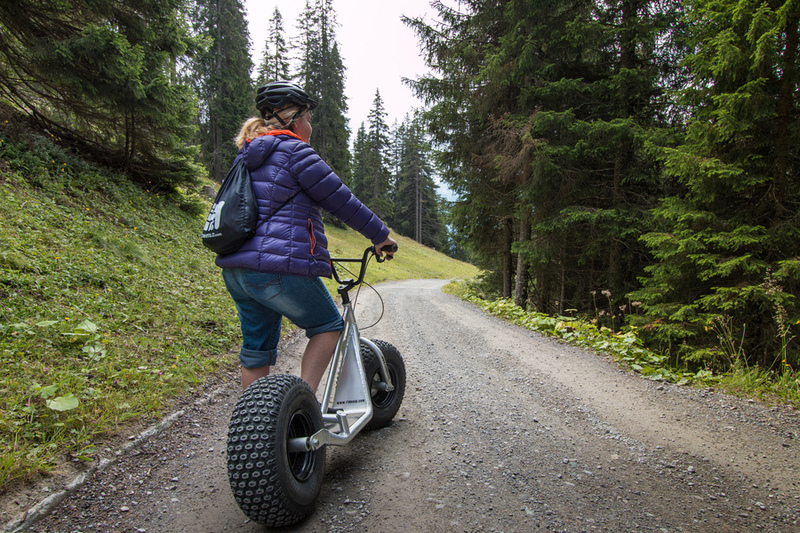 Two massive all-terrain wheels on an light aluminium frame. The handle bar offers front and rear brakes and that’s about all. The rest is up to the rider. The track down Rothorn was all downhill so after a few pushes off with my foot, it was all about balance and brakes. The route was 3.8km from Scharmoin mid-station to Rothorn base station across gravelled roads, dirt tracks, paved roads and beautiful vistas that had us stopping frequently in awe. Children over 10 years can ride their own Lenzi Bike while our children stood on the front of ours. There were several different pricing options, but at only CHF15 (€12.40) for a rental and 1 trip, it’s one of the most affordable (and also enjoyable) things we did in Switzerland. 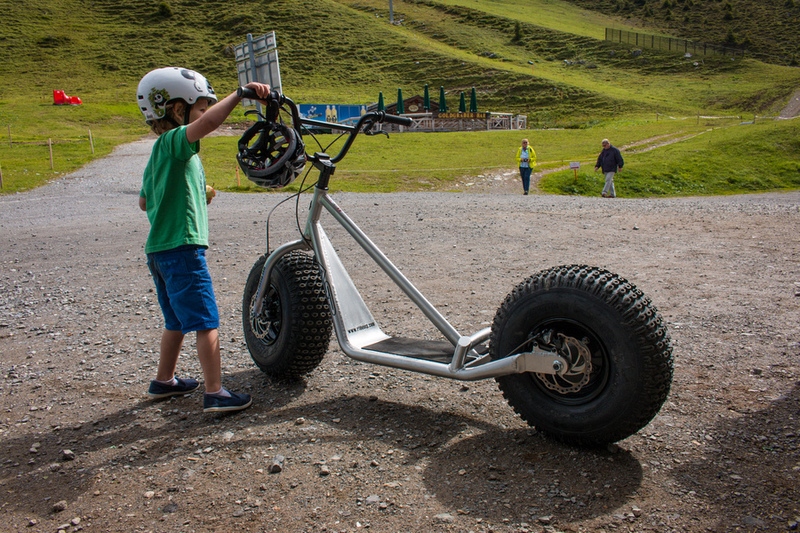 Nothing can quite describe the feeling of racing down the mountain on a Lenzi Bike. The crisp air in your hair and the ground whizzing past at upwards of 30km/h. At one point we hit a regular gravelled road and, not familiar with it’s smoother surface, Josh tipped over. Mia took a dive off the side of the road into the bushes. Thank God it was that side and not the other, otherwise it would have been a long drop. Mia endured some minor injuries from striking the central strut of the Lenzi Bike and having her daddy thrown on top of her. Josh scratched up his arm. After that Mia was not so keen to ride on the bike, but I managed to convince her I was a much safer driver and so we swapped children - Mia on my scooter, Caius on Josh’s. Mia was much heavier and tended to add her own pull on the corners that I quickly learned to compensate for. There were some flatter portions of the trail where her and Caius preferred to run or walk so Josh and I scooted alone. One particular part was the hilly, muddy ending. Mia decided she would rather run down than attempt that on 2 wheels, so I was left to my own devices on my bike. Yeeha! I scooted over those bumps like a woman possessed, collecting mud all the way up my pants and brand new jacket (which I had brought in Germany, thank God). It was exhilarating! It was easy to find our way down the mountain with clearly marked arrows indicating the route. And at the bottom we ended up outside the same elevator doors of the sports rental shop we arrived in to return the Lenzi Bikes. 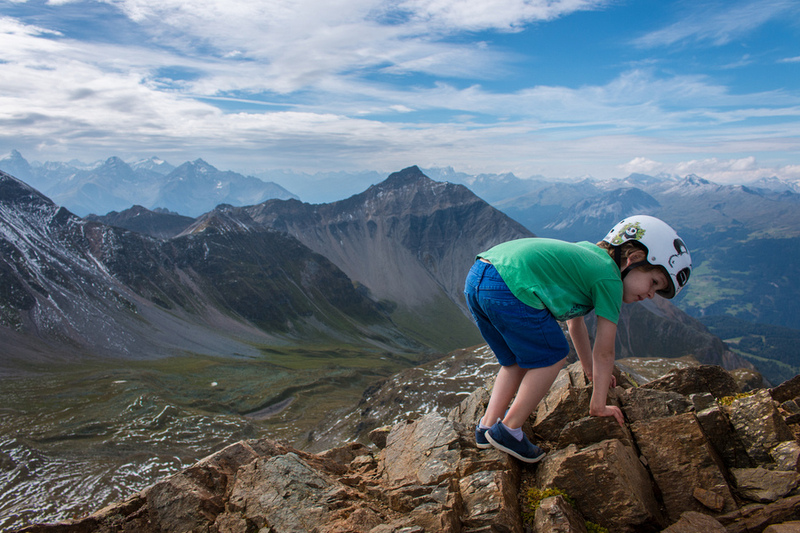 I have never experience anything like Rothorn and if I had previously convinced myself I was a city chick, this will forever be the mountain that changed that. Snow and views, fresh air and an exhilarating bike ride unlike any other is something I’d pick to do in Switzerland again without a moment’s hesitation. 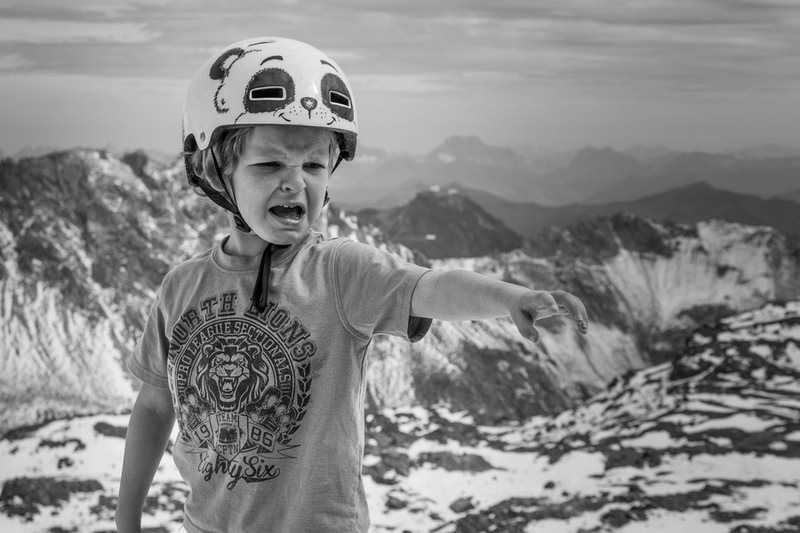 Lenzi Bikes should be on your bucket list, and I cannot imagine a more divine locale to zip down a mountain on a monster scooter than the remarkable Rothorn. There will be only one word to describe it afterwards.